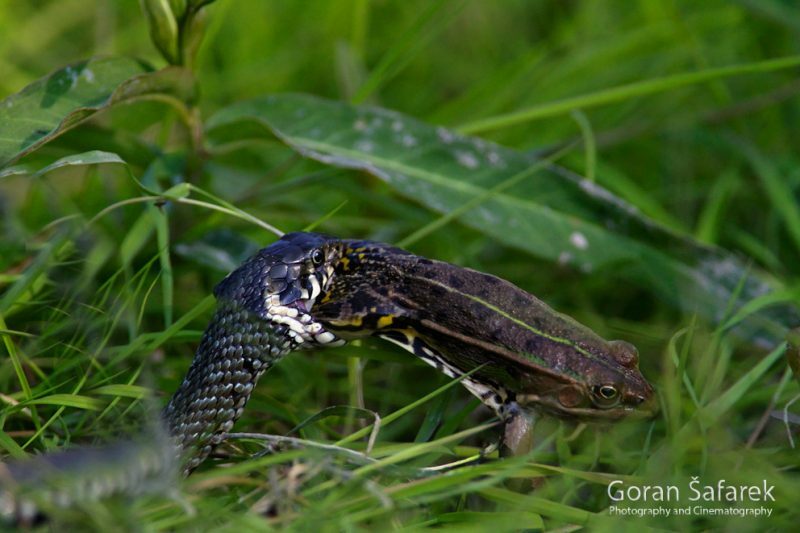 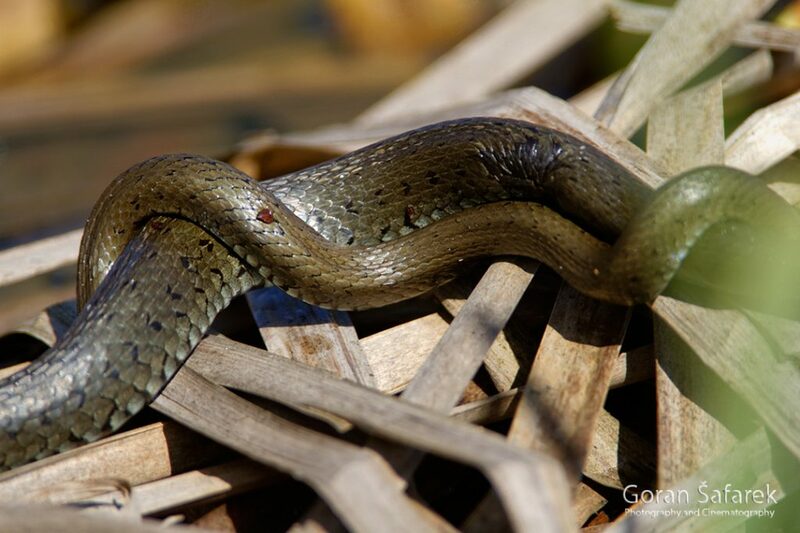 The grass snake - World Rivers Become a Patron! 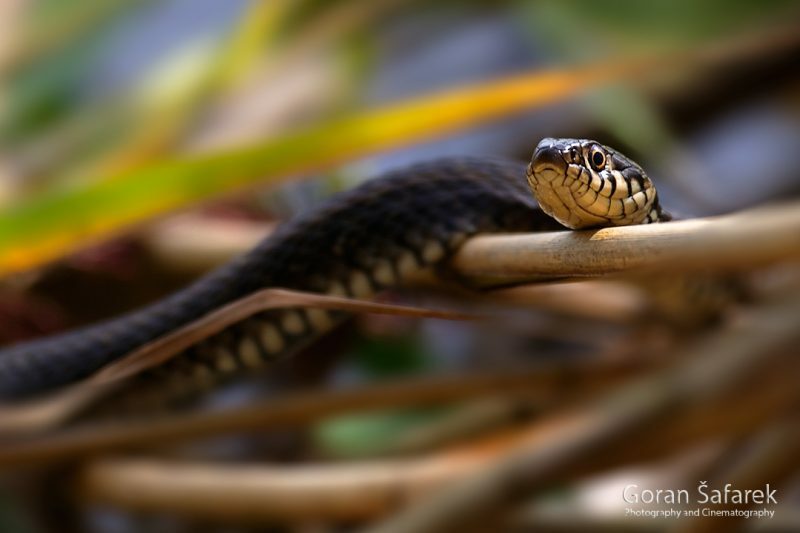 This is a non-venomous snake, so, it’s no threat to people. 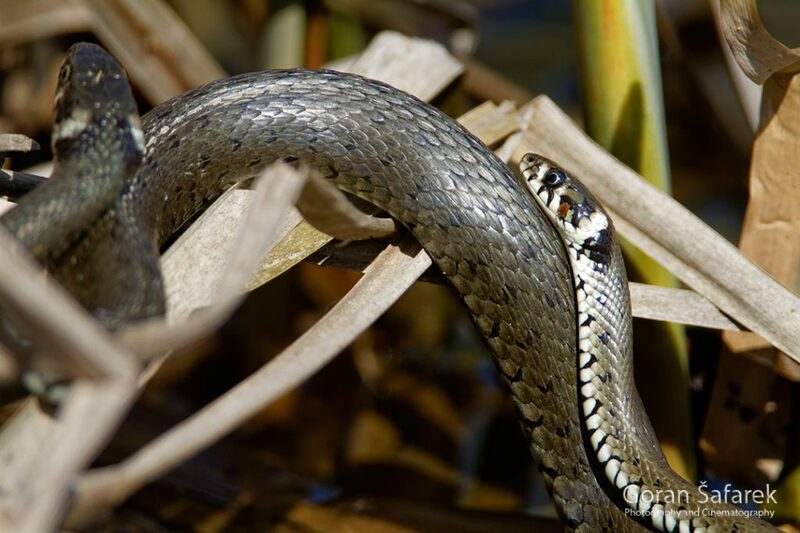 In the case of the danger, it will pretend to be dead or if caught, it will release a smell from its glands.